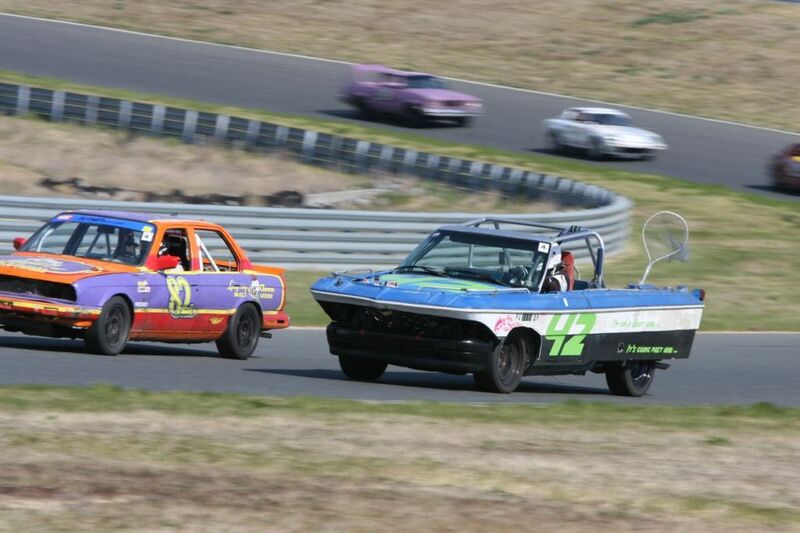 Chevy S10s have done well in the Index of Effluency hunt and Three-Pedal Mafia's S10 is no exception...except it is because the team pitched its silly truck bodywork and the S10 frame is instead clad with a 1971 Sea Sprite. 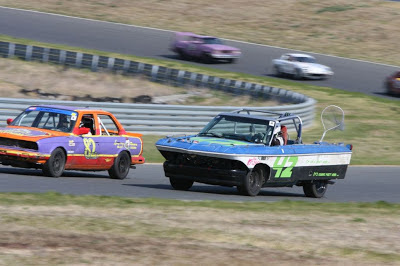 The boat and its nautically themed crew sailed it to an IOE at New Jersey Motorsports Park and allegedly forayed into the experimental sport of paddockskiing (No longer allowed, according to the LeMons fun police). Next up on Three Pedal's plate: A Rolls Royce for 2013. It's unlikely that Bust-A-Nut will ever nab an overall win, but it's equally unlikely this will ever bother the team much. 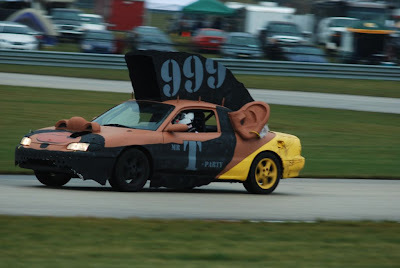 They seem to take as much enjoyment out of turning their MX-6 into increasingly grotesque and well-executed caricatures of a car. 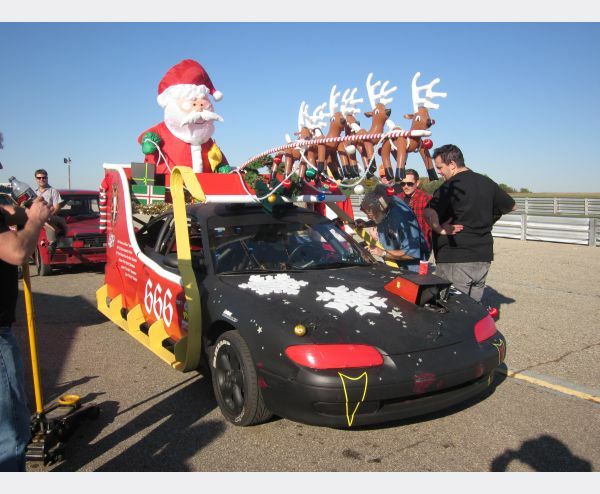 For their first trick, the mounted a heavy-metal-tinged Santa's sleigh--complete with reindeer--to their whip.They then turned it into an extremely convincing scale replica of the Goodyear blimp before making their car into Mr. T. Did we mention this car is registered and driven on the street, too? 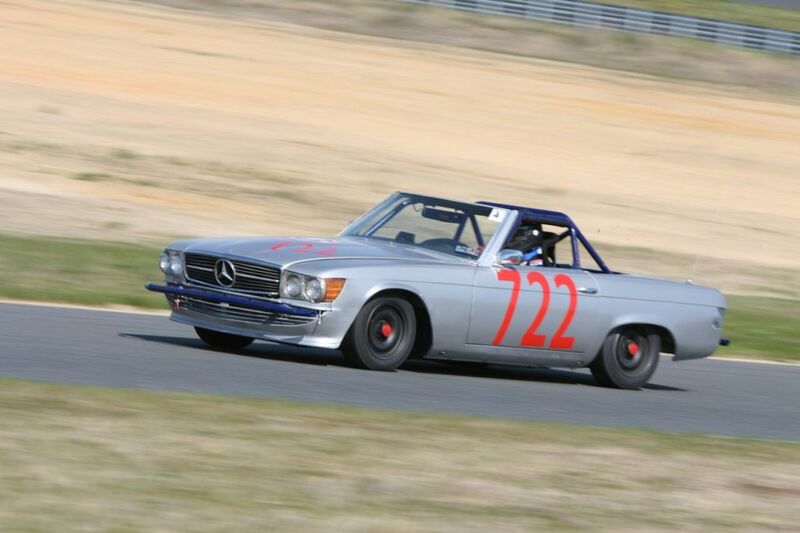 Resume: A legacy of what must be the largest "aerodynamic" elements on any race car ever. 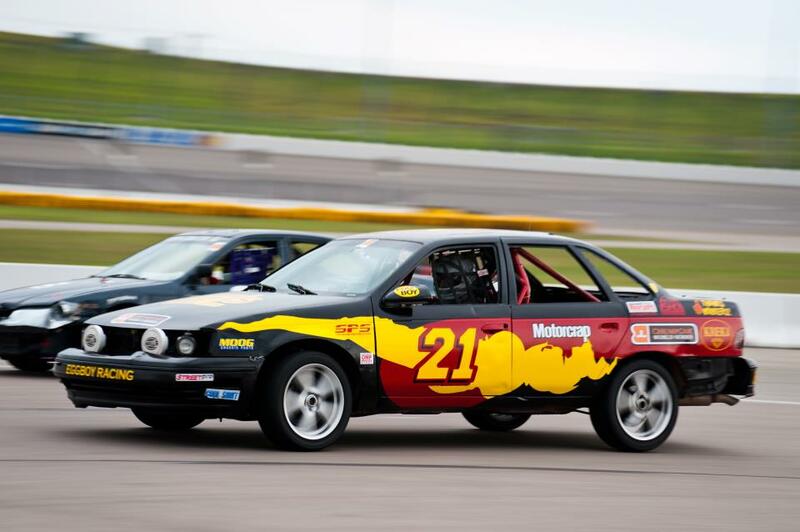 In the space of about a year, Rally Baby Racing evolved from a team campaigning a surprisingly good Audi 4000 to the LeMons version of an autonomous collective with a driving roster of approximately 274 people driving a bevy of German machines in 2012 while simultaneously heading toward a collection of automotive oddities for 2013. 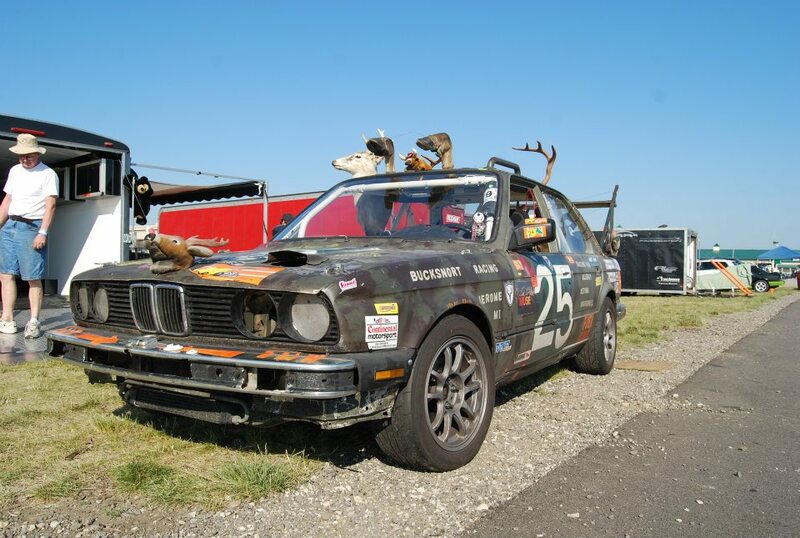 Look for strange and terrifying things from Rally Baby in the near future. With 6 wins in their last 7 LeMons races, it's hard to think of a more dominant team in any form of motorsports. 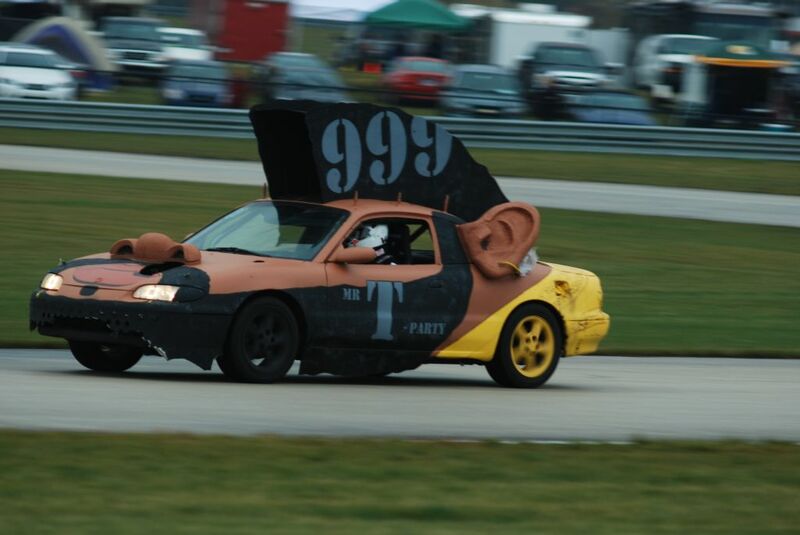 If gambling on LeMons races was a thing, Hong Norrth would be a smart play in just about any race they enter. The team's Mazda MX-3s look great at night, too. 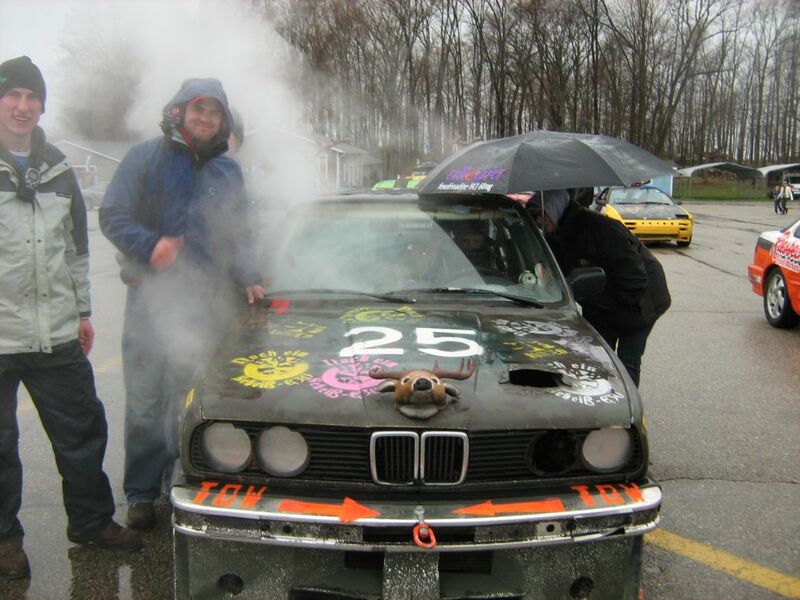 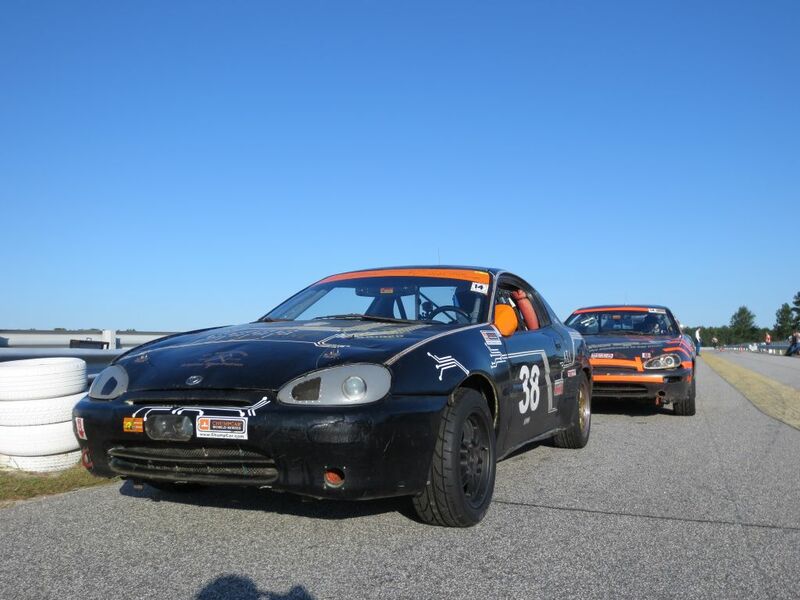 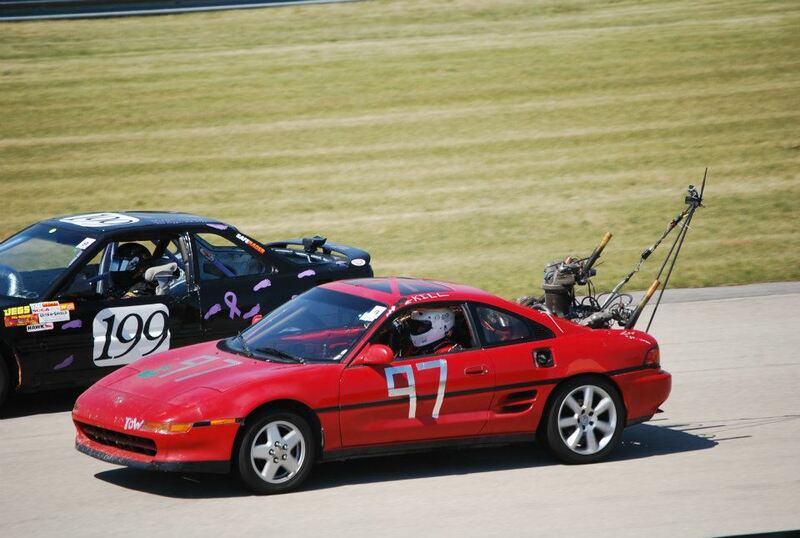 In a great act of community, the Hongs lent their car to the community at the 2013 LeMons season opener, allowing teams who've helped them succeed take a turn in the MX-3's hot seat.